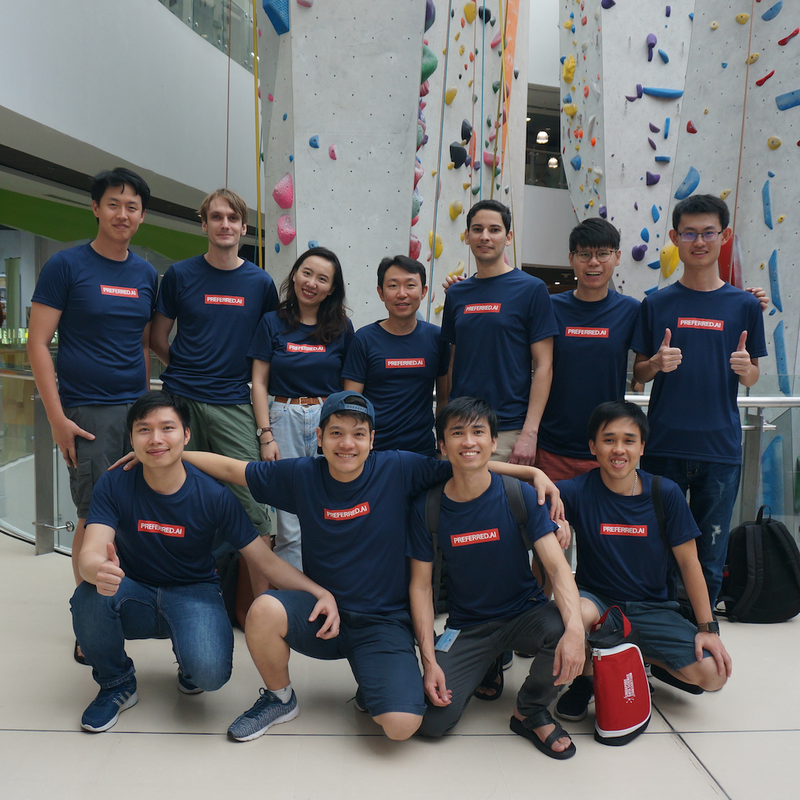 We are grateful to SDSC (Singapore Data Science Consortium and DSSG (DataScience Singapore) for organizing the June 7 meetup, and to the hundred attendees who gave us an opportunity to share some of our recent work. After opening remarks by Caroline from SDSC, Hady gave the first technical talk titled “Modeling Preferences from Multi-Modal Data: A Deep Learning Exploration”. The talk covered several works by our group in modeling user preferences from several modalities such as social networks, images, as well as sequences. Focusing on modeling text, in particular about word embeddings and how sentiment infusion could improve the performance of word embeddings on several text classification tasks, Maksim gave a talk titled “SentiVec: Sentiment-Infused Word Embeddings”. Rounding up the coverage of modalities, Aghiles gave a talk titled “C2PF: A Poisson Latent Factor Model of User Preferences with Item Context” on incorporating the effects of item context to improve recommendations. You may find the slides of the three talks here. It was a fruitful session, and we got a chance to meet many new contacts from academia and industry. Looking forward to the next opportunity to get in touch.